In this episode we discuss the simple technical mistakes bloggers make and how they can easily fix them. 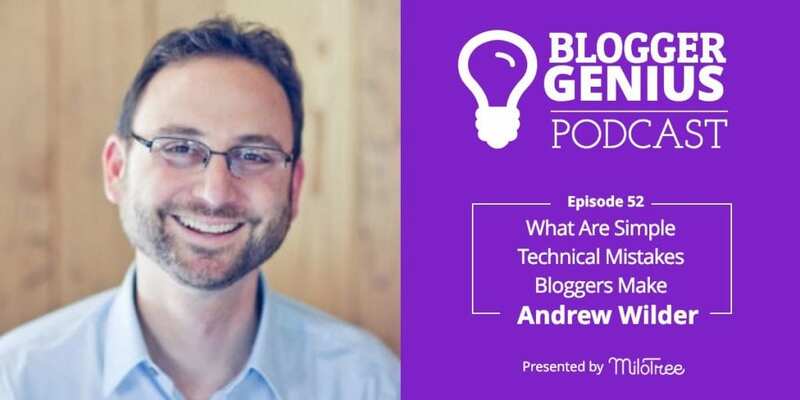 We talk about how Andrew started as a food blogger, then when other food bloggers kept asking him technical questions, he found his new career. We talk about techy stuff like site speed, recipe markups, and what he thinks of the new WordPress editor called Gutenberg. Make sure you’re covered on the technical aspects of blogging, by definitely listening to this episode! Hey everyone, welcome back to The Blogger Genius. I have to tell you, I’m incredibly excited for this year. We’ve got some really cool things in the hopper. If you have not subscribed yet to the podcast, please do so. You can subscribe on iTunes, Stitcher, Google Play — really anywhere you get your podcasts. And that way, you won’t miss an episode. Today, I am interviewing a guy named Andrew Wilder. Andrew started as a food blogger and then what happened was he was really good at the technical side of blogging. So when people kept asking him questions, he decided to create a new business called The Blog Tutor where he helps people with the technical side of blogging. In this episode, we are going to be talking about how to get traffic to your blog, easy wins for SEO, what you need for 2019 to keep your blog up-to-date. Andrew is not only delightful, but he shares so much that will be useful. So if the technology gives you a headache, like it does me, please listen to this episode because I know you’re going to really enjoy it. So without further ado, here is Andrew Wilder. Okay. So I have to just say how we met which is you not only are a food blogger but you also run it, you you have a service where you help bloggers with the technical side of blogging, and we’ll get into that. And I said I’d love to. How did your food blogger journey start? I love that. Okay, so we have to discuss how your blogging journey started and also then how you also have this whole other business. So, tell me. Wait. What was your first and second? Well, my first career was as a theatrical lighting designer, so I did lighting for live events and theater. And I actually worked for a while designing shows for Princess Cruises and so I was I was traveling the world on cruise ships for a while, and it was awesome in my 20s. Then by the time I got to my 30s, not so much. And I kind of burned out on that, decided to move on. And around the same time, this was in the late 2000s, I was out of a long-term relationship and I wasn’t feeling great, I wasn’t taking great care of my body and I realized something needed to change. I kind of had an aha moment after reading Michael Pollan’s work and I sort of had a year of transformation where I got healthy and started exercising pretty much for the first time in my life. Wow! What kind of exercise? I started with yoga, that’s a great way to get into it. Actually, I was doing yoga at home. I found a video podcast called YOGAmazing. And they were, like, 20 minute yoga sessions, so it was super great for beginners. I could, you know, do it in my living room and fall over and nobody would be looking, which is really nice. So, it’s great If you’re really just starting out. And I really liked it, my body really responded well to it. I actually started running after that. And I was the kid who would throw up after running a cross country in PE. It was horrible. And I went to a very sports-focused school and I was the kid in the theater who was puking. I’m really focused on all of this and I want to help other people. And so I decided to start my own blog about healthy eating and diet and nutrition. So I actually started my blog, which is called Eating Rules. The double entendre is intended, right? So I started that in April of 2010. Wow. So a while ago. Yeah. Well, what’s funny is, I thought I was late to the blogging party at that point. I went to the International Food Blogger Conference that summer and I was meeting people like Elise Bauer and David Lebovitz who started in like 2004-2005. And I thought I was, like, late. And turns out, there is an attrition to blogging, right, and now I’m, like, old guard. So there is that. Yeah, it feels like I’ve been blogging forever. I mean, it’s what, almost nine years now. So yeah, when I started I was, like, nonstop. I was writing six posts a week. I wasn’t doing anything else other than working out, so I had time. That quickly went to 5 times a week and then 4 times a week because, you know, it’s hard to maintain that. And now where is it? But yeah, we’re not going to talk about that so much. So that’s because I’m busy with the third career really. Ever since I was a kid, I was always interested in computers. And in the ’90s I had started building websites, and actually, throughout the 2000s, I had a one e-commerce client that I just kind of had as a client on the side while I was doing all the travel. So when I started my blog, I had an advantage because I knew the tech already, and so that definitely helps. I was sort of inherently focused on SEO and speed and various things like that, so it made it a lot easier for me to get started. But then when I got into the food blogging community, which is amazing, I got involved with the Food Bloggers Los Angeles group. And I went to the Camp Blogaway conference, which was up in the mountains, about three hours east of LA. That conference isn’t running anymore but it was awesome. It was about 100 bloggers in a mountain retreat for a weekend. And most of those folks were LA-based because it was hard to get to otherwise. From there, they asked me to speak at a Food Bloggers LA meeting and I put together this presentation on Google Analytics. I didn’t know what I was getting into, so like, I did a deep dive. And people were like, “No, no, I’m going to pay you. What’s your rate?” and they insisted on paying me. That’s kind of when the light bulb went off and I’m like, “Hmm, wait a minute. Maybe there’s something to this.” And from there, Blog Tutor was born. Which is your third business. Which is my third business. I was just doing, like, hourly fixing stuff. I was doing blog redesigns and just helping people out with the stuff that came up. Over a couple of years of that and working on, I don’t know, dozens or maybe a hundred sites, I started to see patterns of what everybody kind of needs to be doing but isn’t. And I’m like, “Oh, I’m setting this up on every site,” you know. And like backups is a perfect example. Like so many people don’t make backups of their site. And so I would set up backups and I found the backup systems that worked reliably and were also easy to restore if something happened, because that’s also really important. So out of that, I kind of started to standardize what I was installing and setting up, and I turned that into a maintenance and support subscription. So instead of working hourly for folks, which is very unpredictable for me and for my clients, instead, it’s a fixed monthly rate. We include various services with it. And that’s really been a game changer for everybody. It allows me to help more people because it’s consistent and I can optimize what I’m doing on my end and I can hire people to help me with some things, so I can help more people that way. It’s also made my income more regular and predictable, which is I’ve never had that in my life. I can run a report on Metorik, I’m not sure how he pronounces it, which is a WooCommerce website. M-E-T-O-R-I-K dot com. A game changer. Bryce (the guy behind that) is brilliant, so I’m going to give him a shout-out on that. Great. And I’ll link to it in the show notes. Excellent. So yeah, I can go to Metorik and see exactly, you know, if nobody signs up for my plans and nobody leaves, I know exactly how much money I’m going to earn in the next 12 months. That’s amazing. How many blogs would you say you manage? We are managing a little over 200 sites right now. That’s also why I’m spending 12 or 13 hours a day, every day in front of my computer. So I’m tired. But I’ve actually hired help. I have two guys working with me who are awesome. I brought Sergio on about a year ago in October of 2017. He and I met at WordCamp LA, which is a WordPress conference. We ended up sitting next to each other at a session on the WordPress command line interface and he showed me some tricks. And I’m like, “Hey, you’re cool and you’re generous, and let’s talk.” We just totally hit it off and became friends. And he’s awesome. Then my more recent hire is Ben Meyer who is also a food blogger. He found me through Food Blogger Pro. He’s active in the forums there and I’m one of their resident experts. I had been planning on like working on hiring somebody in October and he reached out in September, just sent me a cold email. I had seen him around, but his email was excellent. You know, so he wrote a really good cover letter and I’m like, “Wait a minute, let’s talk.” So both Sergio and Ben kind of fell into my lap, so to speak, and they’ve been great. And, you know, I could not be managing this many sites on my own at this point. I bet. A couple things that you said that I really resonate with. One, people came up to you and said, “Hey, help me with my blog.” And boom, there’s the problem, you’re the solution. Like, there was your business. So again, I always say this to people, which is, look for what people are responding to you about your… you know, it could be something, you know, here you are this food blogger wanting to talk about health and healthy eating and then who knew that people would want this other service from you. So that was terrific that you saw that opportunity and seized upon it or seized it. I mean, it’s just kind of the path. You know what, you have to be out there doing stuff, right? And if you’re doing that, then paths will appear and then you get to choose which path you want to take. And people will appear because as you just said, “Wow, I met this guy at this conference, or this guy reached out to me.” So just my piece of advice is: be open. One thing, one piece of advice I like to give about going to food blog conferences. So I love going to conferences and, at this point, I tend to like going for the social aspect because I get to see a bunch of people I don’t see very often. Right? But when I started, when I went to that first IFBC conference, I didn’t know anybody, literally. Like I started using Twitter a week before and through Twitter, actually, I found I was sitting on the same exact train going into the city with another blogger from LA and we happen to have been on the same plane. So we connected and walked to the hotel together. But so, you know, finding ways to reach out and connect with people is amazing. But what I started doing at the conference was we have these, like, 15- or 20-minute breaks between sessions and I would give myself the assignment of go and meet three new people. Oh, I like that. Oh, it’s so uncomfortable. Totally uncomfortable. But you know, people are really friendly. And, you know, as long as you’re nice, people are going to be nice to you, I think, or I believe. And so, what I would do though is I go introduce myself politely. I wouldn’t like burst in and interrupt a conversation or something. But after a couple of minutes, we’d exchange cards. I’d say, I’d literally tell people, “I’ve got to go meet two more people. It was nice meeting you. Let’s talk soon.” And I go meet two more people. And people actually got a kick out of it. So like, you know, so I also didn’t get stuck talking to one person and as opposed to, you know. And from that, I met some very dear friends who, you know, I consider my closest friends now. Right. And what I find… and again, I’ve talked about this on the podcast. I also like going to conferences and meeting people that I may know virtually, but all of a sudden, you meet them in real life and it just takes everything to a whole different level. And bloggers do share. Like, they’re kind and they they will help. I have found that there isn’t this feeling of like, “Oh, I have to keep all my secrets to myself.” The people are very generous, like, “Oh, I’ve been doing this on Facebook and it’s been working,” or, “You should try this with your email,” or whatever. And I have always found that so helpful and generous. I completely agree. And it’s amazing because food blogging is incredibly competitive. You know, like, I like to say there’s room for all of us, but realistically, there’s only 10 search results on the first page. And there’s only so many pins and so many eyeballs. And so, you know, clearly it’s a huge market and there is room for anybody who’s really dedicated. But it’s amazing to me how supportive bloggers are of each other when you’re supporting your competition. And I can’t think of any other industry that’s like that. And there are ways that if you work together, you can help each other grow. Absolutely. And what’s really special. I mean, I love working with food bloggers, like, they’re nice people and they’re nice clients. When I started working, when I was working for the cruise ships, they would take six months to pay us and it was like an ordeal, we’d have to helm that. And like, food bloggers pay me in advance, and I solve a problem and then I get, you know, a huge thank you. It’s nice. I’m not, like, banging my head against the keyboard, you know, and it makes me want to keep helping people. Totally. Now, back to what you had mentioned. Okay, so people came to you and you kept seeing certain problems over and over again. One was backups. But what other… So again, we all need to be backing up our sites. And can you talk a minute about that? But also, what were these other problems or mistakes or things that people were struggling with? It sort of falls into, I don’t know, three or four buckets. So backups is one of them. The key with backups is, well, first of all, you have to back up files and your database because you need both of those things for WordPress to be complete. And then you have to back them up off-site and it should be on schedule. Like if you just had a calendar reminder to do it once a week, that’s not sufficient really because you’re going to forget. And the last piece of that is you have to know how to restore your site if something goes wrong. So backups are a little tricky to do. The other thing is, don’t ever trust your host to do backups. Some hosts do backups and especially the Manage WordPress posts. But unless you are absolutely sure that they’re doing backups and you can access them, and it’s not just like the whole server disaster recovery kind of backup, that’s not usually sufficient. I had one friend who had a hosting company. Her hosting company disappeared overnight. It was a smaller company, obviously, and she didn’t have any backups and her site was gone. Emails started bouncing. Like, nothing. She totally lost her entire site. That’s like the extreme horror story, right? So I can’t emphasize backups enough. The other reason I start with backups is you can screw anything else up, your site can get hacked. It doesn’t matter if you have a backup you can restore from, you can get back in business. So it’s this massive safety net. I think we back up our sites every day. I hope so. On my services I take backups so seriously that I actually am doing three different backups nightly. We’re using ManageWP now to do incremental backups through a plugin. We’re also using CodeGuard, which is a third-party service that doesn’t require a plugin or WordPress’s system. It’s blogs directly into the server against the backup. And we’re also using UpdraftPlus to make a local backup nightly, which that one’s more for convenience than security. But that way, you can just make a really quick backup before making any changes or anything. So that’s that’s how seriously I take backup. Okay. So everybody, take that seriously. Okay. And then what are the other mistakes or problems that people are facing or were facing when they reached out to you? Security is a big one. WordPress is not inherently insecure, right? It’s an active product that’s being developed, but vulnerabilities are discovered. Vulnerabilities and plugins are discovered. Basic stuff like not sharing passwords through email. It’s a big one. Email is not secure and that password will sit in both people’s archives forever. My husband who is a technologist forced me to start using 1Password which is a password service and it’s not an easy system to use, but it makes everything that much more secure. I’m on PC and I don’t love 1Password on PC. I’ve heard its really good on Mac, but maybe not. Another good one is Dashlane. I also found a free one called Buttercup recently and I started playing with it. And it looks like it might actually be good. So that’s another one people could check out. Yeah. At least with 1Password, and I think 1Password has like kind of a subscription plan that makes it easier, but I will say it’s a little bit of a learning curve to use it. But once you do, then you don’t know how you’d ever live without it. Exactly. It’s once you get it set up, it makes your life not only more secure but it actually makes your life easier. It does. So I would recommend investing the time in some sort of password plugin or program or something like that. Absolutely. And then security scanning is also important, having a good firewall. There’s all this technical stuff you can do to help protect your site. Then the next big, big thing that people aren’t doing and should is updating their sites. There’s all these plugins and updates are released regularly for a lot of them. Sometimes updates are just new features. Sometimes though, they’re fixing security holes. As soon as there’s an update to fix a security vulnerability, that becomes a known vulnerability. So hackers actually know this and they can start testing that for sites that haven’t updated yet. So one of our tiers of our support plans, we take care of the updates. The other part of it is if something breaks during an update, we’ll fix it. That’s part of the the peace of mind aspect. Because what happens when you hit update and there’s a bug in the new update and you get a white screen of death, if you don’t know how to fix it, you’re going to be stuck and your site’s going to be down. So we’re able to take that burden off of people. One of the other advantages of working on so many sites is we see patterns emerge very quickly. So for example, there was a vulnerability in a GDPR plugin, the WP GDPR compliance plugin recently. It was a very bad one, actually. And we were able to find that very quickly. Then we just found all of our sites that were running that plugin and updated them immediately so that they wouldn’t get hacked. Can we talk about plugins in general? Okay. So I know as we just talked about previously, for MiloTree, we built MiloTree so that it was incredibly light and incredibly fast. And the big, I guess, criticism of plugins is they slow down your site and you don’t want too many. So can you speak to that and what that means? And how many plugins you’d recommend? Sure. With plugins, it’s not about quantity, it’s about quality. You know, most people don’t realize how complicated WordPress itself is. I’ve actually been wanting to do a search and figure out how many millions of lines of code there is on WordPress. And a plugin could be literally two lines of active code, or it could be… so it could be a very lightweight plugin that doesn’t do much. And that will be, you know, assuming it doesn’t, like, have some problem with it, that won’t slow things down at all, you know. But it could be a very large bug. Like, Woocommerce is a huge plugin, right? It’s a good plugin but it’s huge because it does a lot of stuff and it takes a lot more work for your server to process that. So really focus on quality and size and scope of plugin, you know, if it’s well coded and fast. You know, MiloTree has been designed from the ground up to be fast, right? So that makes a big difference. I’ve seen a lot of pop-up plugins that really bog things down, or sometimes they’ll keep track of their stats, and I’ll log in and check the database and their stats database will be like 200 megabytes, and it’s slowing everything down because of that. I can’t give you a number of like “Oh, it’s okay, to have this many plugins.” You know, in general, less is more; and fewer plugins, it’s going to be faster because it’s less for your site to do. But you really want to focus on on the quality and the speed and the weight. Can we talk about that? Because my husband is like a speed freak, okay. All he cares about is site speed. He will get mad at me if our photos are not resized, that kind of thing. Could we talk about why speed… like, is he right that speed is so important? Yes, to a point. So, speed is critical. It is a ranking factor for Google. But it’s also good for users. If you click through on a search result to a chocolate chip cookie recipe and you see a white screen for five seconds and then you see an ad pop-up before anything else, you’re going to click away before you even get to the recipe, so it needs to load fast. People are on their phones which don’t have as fast a connection to the internet and a slower processor. So part of it is just thinking of the user and making sure the site loads quickly because people don’t have time, you know, in this millennial age. If it’s not there, almost instantly forget. They’re going to hit the back button and try a different search result. At the same time, you don’t have to be obsessive about speed. In terms of SEO and ranking, actually you don’t get a boost in the rankings for being faster inherently. You actually can be penalized for being slow though. And that’s also relative to your vertical. So you want to be faster than other food blogs. If you’re running a food blog. But faster is better. The other places with a lot of confusion is people are like, “Oh, my page took 20 seconds to load.” The total page load time is not really a useful metric. Because what happens during those 20 seconds? What you want to have happen is your page starts showing something very quickly. Within two seconds, the visitor has to see something happening. Within three seconds, they should be starting to read your content. So you want to be looking at, like, First Contentful Paint. It’s like basically the first time the browser paints anything or draws anything. Because if your header image and your post title and your first picture, and some of your actual blog post content starts showing up within three seconds, your site’s going to be crazy fast to the visitor. Then if other stuff around it kind of loads while the person is reading, they may not even notice. So it’s not so much the total time, but it’s more about the perception of speed. And starting to really break down what’s important on the page. Interesting. Okay, so we’ve touched on, wow, okay, so we’ve touched on security, we’ve touched on site speed, we’ve touched on backups. Anything else that bloggers struggle with? Recipes and recipe markup — that’s a challenge. Can we talk about what that is? Yes. Most people, I think, are aware of this now, where you want to use a modern recipe plugin that basically lets you format your recipe on the page. And it looks good, like you have your recipe card, as it’s usually called. But it also in the code has markup to tell Google, “Hey, this is the ingredient, this is the description, this is the cook time, the prep time. This is the number of ratings it has.” All that stuff is actually in the code and it gives that information to Google. And if you have enough of that information in, Google will reward that by showing what’s called a rich snippet in the search results. The little thumbnail image and the rating and, you know, the cook time and stuff. And the more of that information you have in the search results, the more likely somebody has to click on it because it looks much more appealing. So the trick is, you need to fill out all the information or as much of it as possible. If you consistently don’t fill out the cook time, you’re missing out on opportunity. So it’s real tedious to go through and make sure everything is, you know, filled out completely or as completely as possible. But it really does pay dividends on that. What is your favorite recipe plugin, card plugin? So there’s a few good ones. The one I currently include with my support plans is WP Recipe Maker. The other one I’d recommend is Tasty Recipes. That’s from the the same folks who do Food Blogger Pro. I know them, I like them a lot. When I started doing WP RM, it was the only plug-in at the time that was fully Google compliant So I started including that as a service for my client. You know, I see that sort of as a value add with my services. It’s not sort of as much as of a core component. But it’s really helpful. For folks who have ZipList Recipe still or EasyRecipe Plus, you’re going to see a big improvement by converting over to WP Recipe Maker or Tasty Recipes. What I always recommend is when somebody’s doing a conversion, they do them one at a time; they test for accuracy and completeness. That’s the same time you go through and say, “Oh, wait, this is missing the prep time,” and you add that or it’s missing keywords, or whatever information it is. I was going to say, then you can also… if you have your site configured in Google Search Console, it’ll show you a report of which recipes are missing information. It does take a week or two to update sometimes, so you have to be patient, it’s not an instant thing. “I wanted to take a short break to talk about how powerful MiloTree is. And why is it so powerful? Because MiloTree is taking your traffic — people who have been on your site and converting those people into followers and subscribers. And what happens when you take people who love you, who know your content, who then become followers, what happens is those people become engaged. Those people interact with your content on social. And what that does is it signals to the social networks the your accounts matter and will show your content to more people. So these aren’t just any followers and subscribers. These are the cream of the crop. And that’s what MiloTree does. Now, here’s the thing. The name of the game — I was just having this conversation with David, my husband and partner — and what we were saying is, it doesn’t matter how great your site is. What really, at the end of the day, matters for you to make money is traffic. So when you think about that for Google so that you can get traffic, what are your strategies? What are your tips for how to use your blog technology to drive traffic to your site? It’s a lot of what we just talked about from a technical perspective. You know, the site has to be fast, it has to be up and working. And it has to be mobile-friendly. Beyond that, you have to have great content. That is still the number one thing, is great content. When you’re optimizing for SEO or any traffic, the most important thing is, think of your visitor. Are they having a good experience? Is it immediately obvious what your site’s about, who you are, I can’t believe how many people still don’t have a smiling picture of themselves at the top of the site. People want to know who they’re reading. And Google is also focused on expertise, authority and trustworthiness (the E.A.T). So when Google is looking at your site and humans from Google look at your site too, they want to see that you are an authority and you’re trustworthy and you’re an expert. So you have to kind of drop those clues. Having a nice picture of you smiling at the top. “Hi, I’m Andrew. Welcome to Eating Rules.” It doesn’t have to be much. In fact, it shouldn’t be much. But rather than some random chocolate chip recipe, it’s, “Oh, hey, this is my daughter in my food blog,” or whatever your hook is, right? You got to hook people and draw them in and then you have to give them some good stuff. One other thing I’ve been paying attention to a lot is your photos. You know, everybody knows you have to have great photos, right? But when you take 12 pictures of that cake, with the perfect slice cut out of it, and all the pictures are almost identical and you put all of them in the blog post, you’re not really adding value for the reader. Instead, you have one beautiful shot at the top of that cake, right. And it’s like, “Oh, want to make that.” And you start scrolling, scrolling, you know, reading through the blog and you talk a little bit about how you make the cake, and maybe the process shots of, you know, step-by-step photos of how to make the cake. So like, if you’re layering, you know, raspberry filling or whatever in the middle, show a picture of that so people can see how it’s done because then you’re providing value. And make sure that picture looks nice and it’s compelling. That way, you’re kind of holding people’s hand through this experience of making the cake and they’re going to get better results because you’re showing them how to do it better and they’re going to trust you more. Right. And especially because people consume content on their phones. So to have photo after photo after photo that’s just a slightly different angle, you know, I’m on my phone so I don’t want to be scrolling through those photos. And I know it’s hard for people to edit. You know, you get the cake to look beautiful, you set up your light. You’ve got the camera, you’ve got all the gear. And, you know, you shoot 200 pictures of this. Show three. Yes. In fact, I was given that piece of advice for SEO, which is to take out really, like be hypercritical taking out photos in your posts. You know, back in the day it was like throwing in the kitchen sink. And it reminds me, I was a writer in Hollywood and there’s always that thing about you need to be able to kill your babies, which means you have a joke or a piece of something and you love it so much. And to become a better writer, you need to learn to delete stuff even if it’s good. Exactly. So, from a user perspective, it’s good to get rid of those photos. You know, I don’t want to scroll through 12 of the same picture. As I’m scrolling on my phone, those pictures all start to look the same anyway. Right, yes. Aren’t there plugins that resize photos and things like that? I do. Actually, I include image optimization on my Inner Peace support plan because it’s such an important thing. So not only will we compress the photos, we will actually scale them down, if needed, as well. Because, you know, if you upload right out of your camera, you might be uploading a 4000 by 3000 pixel image that’s four megabytes. There are some ways to mitigate that with image source set, which usually only works on mobile. But still, you’re better off scaling the image to the size it’s going to be displayed. Optimizing it or compressing it with the JPEG compression before you even export out of Photoshop or Lightroom or wherever you’re editing. And then when you upload to have an image compression plugin, like ShortPixel or Imagify, that will squeeze out a few more kilobytes and optimize the image. The other reason it’s really good to have an image optimization plugin is when you upload an image to WordPress, it generates thumbnail images. So it will basically take your, let’s say, your 700 pixel wide image that you upload. It might also create a 500 by 500, and it might create a 300 by 300, and a 150 by 150. So it creates these little thumbnails that are used in various ways. Which images it creates basically depend on your plugins and your theme. But those images will also be optimized by the plugins. So it runs in the background automatically. So once you have it set up and configured, you don’t have to do anything, which is really nice. It doesn’t add any burden to your workflow. It doesn’t make life harder. So, ShortPixel is my favorite one. Okay. And we’ll have all these in the show notes. Okay, so here is my next question. So it seems like every so often, pretty often, there are new technical things that come out. Like Google doesn’t want you to show intrusive pop-ups on mobile or GDPR. Like, I feel like people’s heads exploded. What do you see coming down the pike? What do I need to know about Gutenberg, the new editor is WordPress? Well, the big, big, big one is Gutenberg. So Gutenberg is the new editor in WordPress. It’s been under under development for well over a year. It was originally going to come out this past spring and then it was going to come out the Tuesday before Thanksgiving and then it was going to come out the Monday after Thanksgiving. And it is still not out yet. I’m very glad they didn’t release it right before Thanksgiving. It is a beautiful way to create content. It’s sort of similar to Medium, if you’ve ever seen their editor. And it thinks in terms of blocks. So paragraph is a block, and image is a block. Isn’t it very similar also to say like MailChimp or any of those email services where you’re constantly adding the blocks? Yes. Mad Mimi works kind of the same way. So, I think Gutenberg is a great thing for the future. It’s, you know, the old editor, the TinyMCE, that’s what it’s called, is kind of clunky. You can’t really do much but write paragraphs and dropping some pictures. It’s hard to extend and do things like tables or, you know, three columns or something like that. So, Gutenberg is going to add a lot of that functionality and really modernize things. The trick is, any plugin that works in the editor has to become Gutenberg compatible. They’re catching up but Gutenberg has been changing so rapidly that it’s been very difficult for plugin authors to keep up. So what my recommendation is, is basically I’m bullish on Gutenberg long term, but I’m bearish in the short term. If you’ve got an existing site, it may not be worth changing to Gutenberg just yet. So what’s going to happen is right now, if you want to use Gutenberg, you have to install it as a separate plugin. When WordPress 5.0 comes out, it will be built in and it’ll be the default editor. If you want to stick with what you’ve got, you can install the classic editor. It’s a plugin to the repository that basically as soon as you install it, it just keeps things as is. You can install that now before 5.0 is released. Then when 5.0 comes out, you can update and you’ll still have the classic editor. So what I recommend is doing that now, you know, especially in Q4 when everybody’s got crazy traffic from the holidays, like don’t break anything right now. Then in January or February, we can revisit this and then maybe time it to test out Gutenberg. Don’t rush into it. There’s there’s going to be benefits but at the moment, you could really kind of shoot yourself in the foot. I had one client who installed Gutenberg and it seemed to be working. and then they had their VAs going through and editing lots of recipes for two weeks and then they discovered problems where things weren’t saving properly. They had to go back and fix a lot of stuff. Especially if you don’t catch a problem right away, it’s really hard to restore from a backup and they had to fix all of this manually and it was a lot of work. So, tread lightly. Gutenberg is going to be great but it might not be there yet. Right. My husband has a similar philosophy like when iOS comes out with new versions, he waits like a month or two or three or I don’t know how long because everybody gets excited and downloads it, but then typically, they kind of fix stuff in the beginning. So patience a little bit kind of can get you further. I actually set up a playground for my clients where they could log into just a fresh WordPress installation that has Gutenberg installed so they can tinker with it and get a feel for it without having to risk breaking their own sites. Then I installed common plugins like I installed Tasty Recipes and WP Recipe Maker which we both now… yep. So both of those plugins are Gutenberg compatible now officially. But, you know, that’s only until Gutenberg changes something and it breaks something in the plugin, and plugin authors have to fix it. So, it’s going to be a little rough for a little while. I get that. Now, here’s a question. I know of a blogger who recently changed their theme and their Google traffic like halved. Is that a common thing? It shouldn’t happen. But I wouldn’t say it’s not common. You know, it’s hard to say. It depends what changed. And I’m not a forensic SEO expert, I could refer that person to some great people who might be able to pinpoint what happened and what went wrong. It could be a number of things. It could be that their speed suddenly tanked and the new theme was actually much slower. Or it could be that there was a technical problem or maybe they changed their URLs by accident and didn’t realize it. There’s so many variables here that it can happen for sure. If you do it “right”, it shouldn’t happen. If anything, Google, should… you know, you should be making things better, not worse. So, you should long-term at least be rewarded. You know, sometimes when there are big changes, Google will kind of drop things until it gets a chance to re-index. So it might just be like a dip for a couple of weeks. That can happen too, so don’t panic necessarily. It could also be bad timing. It could be that there was a Google algorithm change around the same time and, you know, you think it’s because of your theme but it’s not; it’s because of something else. Interesting. Okay. What’s interesting is you’re technical and you’re a food blogger. So how do you think about social media from a blogger perspective, a technical perspective, or however you want to answer that question? So I burned out on social media, to be honest. I may not be the best person to ask because I’m kind of down on social media. As are a lot of people, yes. I know Instagram exploded and I found it wasn’t doing anything for traffic, so I kind of lost interest. You know, Twitter doesn’t drive traffic for the most part, so it’s really all Pinterest. You know, Facebook drives very little traffic. If you make videos, Facebook is great, but otherwise, forget it. But I would say that Facebook is good at rewarding your Facebook page, but not necessarily driving traffic even with videos. Yeah. You know, because they want to keep people on Facebook to get their advertising dollars. Right? So, you know, on my own food blog, I did okay on Pinterest but I never quite cracked the Pinterest code, to be honest, you know. I was kind of phasing out of Eating Rules and more focused on Blog Tutor. And for Blog Tutor, I’m not really doing a lot of social media because I don’t need to. My business is growing organically through referrals. You know, because food bloggers all talk to each other. So I’m blessed that I don’t have to do a ton of marketing right now. You know, where I do use social media is Facebook for support groups like Food Bloggers Central is a great place for folks to get advice. Is that a Facebook group? Yes. There’s a few really big Facebook groups of 2000 or 3000 or 4000 people in them, but they’re very active. So if you have a question you could ask there and get an answer very quickly. I often answer questions in there to help people out which is of course, great marketing for me. So Facebook groups are really, really useful. I mean, that’s sort of replaced other forums. But yeah, if you can tell me Pinterest secrets. I will be listening to that podcast. We do. Well, actually, Pinterest is very, very important for Catch My Party. In fact, we’re approaching a million followers. Thank you. And again, we take what Pinterest says very seriously. When Pinterest talks, we listen. That drives millions of page views for us and that’s how we ended up building MiloTree was to support, to keep our Pinterest followers growing. So I was curious, especially since you’re a food blogger and, you know, Pinterest is I think such an important platform for food bloggers. I think for me, some of it is it’s the the cobbler’s kids’ shoes. Yes. I so get that, the manicurist’s nails. Yes. I’m so busy working on other people’s sites that it’s hard at the end of the day, you know, to spend any time on my own. And that’s okay. I’ve made peace with that. I get that. Okay, so what is one, just randomly, one piece of food advice that has helped you that you think has really helped your health? Recently, I’ve cut out carbs. I don’t want to say I jumped on the keto bandwagon. But I feel much better. I think it’s because I’m eating more vegetables instead of bread and cheese when I’m working all day and I have to go grab something out of the fridge real quick. When I grab carrots instead of crackers, that makes a difference. And have you lost weight? Yeah. I’m using a meal delivery service for lunches called Territory. It’s expensive but it’s really good. It’s great because I get my five lunches a week delivered and the food’s excellent. It’s basically lots of vegetables and various proteins, and they have keto-friendly ones, or low-carb ones ready. Because I’ve been so swamped with work that it’s sort of an indulgence, you know, to not have to cook for myself, but it’s actually kind of necessary because I don’t have the time right now. Which leads me to one big point actually that, like, I’m hiring help. And right now, the help I need is for somebody else to make me lunch. I like that, I like that. I’m a big believer in that. Right. And there is a process of letting go and that somebody might not make your lunch the exact same way you would and that’s okay. Although, at the same time, I’m often pleasantly surprised that, like, they might make the lunch better than I would. That’s something I’ve been working really hard on leaving the door open to like because I’m kind of a control freak and I’m, I’m pretty good at a lot of stuff. I like to say I’m good at a lot of things. I’m not excellent at everything. You know, like, I’m not super niche down. So it’s hard for me to find people who can do the breadth of stuff, but I’m finding people who can do certain things much better than me. And that has been so liberating, and to take that kind of stuff off my plate which frees me up to do other stuff. It is. And if you can find the one thing that I am very careful of, intentional about is the people I hired to help me and if they are people that I like and that do great work, and they make my life so much more pleasant, and so I would say take the time to really find those gems because they’re out there. What’s the phrase? Hire slowly but fire quickly. Yes, I believe in that. Easy to say but hard to do. If it’s not working, cut it off. Immediately, because it’s not going to work. No matter how much you try to make it work, you will know, I believe, and it’s just, you know, I believe that in so many areas of my business, try something. If it’s not working, pull up, pull up, pull up. So well, I have to say, this has been such a treat and I’m sure that a lot of my audience is going to go “How do I reach out to this guy? How do I learn more of what he’s talking about, what he’s doing? How do I hire him?” So could you share how people can find out about you? Sure, you can go to BlogTutor.com. That’s B-L-O-G-T-U-T-O-R dot com. Then there’s some information on the homepage. 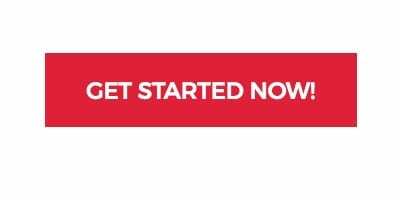 But then if you need WordPress help, there’s a big old button that says “Get WordPress help” and that will show you all the information about our support plans and our pricing and the various plans that are available. Then you can sign up from there or reach out to us. You can also reach us at support@blogtutor.com. So you can just shoot us an email with some questions. So, Ben, Sergio, and I all check that inbox, so we’re all we’re all working on that. I will drop a little hint. I’m actually about to change the name of the company. It’s a long time coming. But you know, when I started, I was originally going to write courses for food bloggers, actually very similar to Food Blogger Pro. They did it better than I ever would have. But that’s why I called it Blog Tutor and, you know, it’s kind of a descriptive name. We do do sort of a lot of tutoring in our emails back and forth with our clients. You know, I believe in explaining what we’re doing to our clients so that they’re empowered to know what’s going on with their sites. We don’t just fix something and then say, “okay, it’s fixed.” We tell you what we did so you can learn from it. But we’ve kind of outgrown the Blog Tutor name. So I’m in the trademarking process right now so I can’t tell you yet what the name is, but it’s so much better than Blog Tutor. So I don’t know when this is going to air. Probably in maybe four weeks or so. Okay, great. I am hoping to have changed the name by then. Okay. Well, you know what, if you reach out to me with the new name, I’ll add it so that people can read the show notes and see. Excellent, and I’ll set up a redirect from Blog Tutor, so you’ll be able to find us through BlogTutor.com either way. But I’m super excited about the name and I can’t wait. That waslike my last big project for 2018, so I’m coming down to the deadline and we’ll get there. Nice. Well, Andrew, thank you so much for being on the show. Well, thank you for having me. This was a pleasure. “If you’re liking the Blogger Genius Podcast, there are many ways to support the show. The first way would be to share about it. If you have a friend who you think would really benefit from it, please share it. I invite you to head to milotree.com and start growing your business faster. If you’re trying to grow your social media followers and your email list, MiloTree will do it on steroids. It will grow your followers 24/7 and your email list, and it does it while you sleep. Watch your followers on Instagram or Pinterest or Facebook or YouTube or your email list explode!